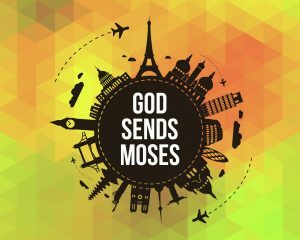 AIM: The aim of the ‘God Sends Moses’ Sunday School lesson is to help children understand that just as Moses led the people to freedom, so we can be a part of leading people to freedom in Christ. This lesson is the third in the Mission:Possible teaching series or VBS. 1. Stuck in the Mud. Players run around and a catcher tries to tag them. Players are then stuck to the ground with their legs apart. They can only get unstuck by their teammates running under their arms or legs. This game is played until everyone is stuck in the mud, or until everyone is tired! 2. Musical Statues. Have everyone dance like crazy when the music is playing. Yet when the music stops everyone must freeze like a statue. If someone moves when the music has stopped then they are eliminated from the game. The last player standing (or dancing as the case may be!) is the winner of the game. 3. Human Knot. Have everyone stand in a circle in their small groups. Ask each player to close their eyes and put one hand in the middle. Everyone must grab a hand. Then ask them to put their other hand in the middle, and grab a hand. Then ask the players to open their eyes and try and unravel themselves – without letting go of each other’s hands. In this way they should become a circle. To make the game more interesting have small groups compete to see how fast they can complete the task. BIG VERSE: So if the Son sets you free, you will be free indeed. John 8:36. The story of Moses follows many years after Abraham… Isaac’s son Jacob and even Joseph, Jacob’s son. Pharaoh had forgotten how Joseph had helped his kingdom. 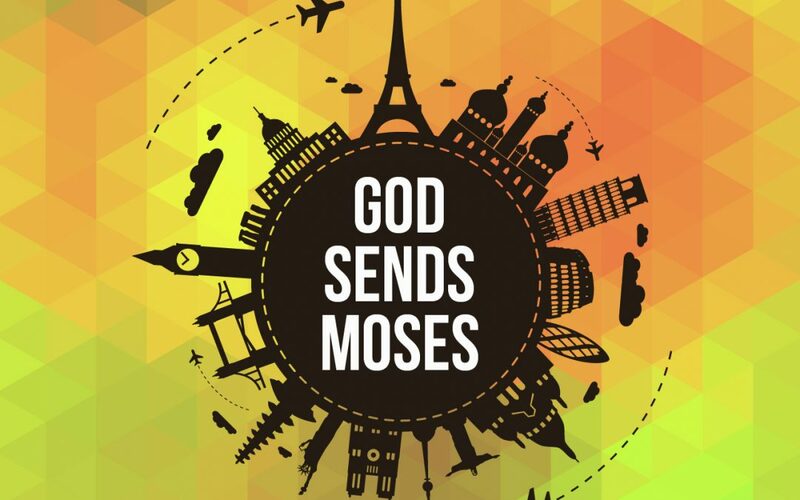 Now Moses was born into a time when the Israelites were slaves and were about to be wiped out. Explain the overall run up story and then read: Exodus 14 or show the Prince of Egypt video where Moses leads the people out of Egypt. You will need lots of kids toy handcuffs with notes that say each thing (alternatively use bits of material to wrap around person or strips of paper/card with words on them). Ask a child or another volunteer to stand upfront for you. Say: The Egyptians had bound up the Israelites. They were living in fear and were living in slavery. They were unable to escape. You know, God says that without Him we are also bound up. We can be bound up by many things. [Put handcuffs/strips of card/paper on your volunteer] Obviously without God the first thing that bounds us up is sin and the wrong things we have done. It stops us from being free to praise and worship Jesus. Also, other people doing wrong things against us can make us feel bound. [Put handcuffs/strips of card/paper with note on that says words] Words from others can also bind us. Hurtful words can make us feel that we can’t do anything. Maybe someone tells us we are ugly, stupid, a mistake, no use. Those hurtful words can stop us feeling free. [Put handcuffs/strips of card/paper on your volunteer] Maybe our feelings make us feel bound, we might feel bound because we feel sad, fearful, depressed or angry all the time. We don’t know where the feelings come from but they make us feel bad. Maybe we haven’t forgiven someone and so it makes us feel bound by our feelings too. [put handcuffs/strips of card/paper on your volunteer] sometimes like the Egyptians somebody can do something to our body that makes us feel bound. The Egyptians were whipped and even killed if they didn’t do what they were told. Maybe people have kicked us or even done worse things. Perhaps we are sick and unwell all the time… that can also make us feel bound. [Put handcuffs/strips of card/paper on your volunteer] Maybe we have things that go around our head that are not true. Perhaps we think bad things about ourselves that God has not said. The Bible tells us to think good thoughts but sometimes we get bad thoughts that don’t come from God. [Continued from the first object lesson] You will need a master key (alternatively use scissors with tag ‘Jesus’ if using card/paper. Explain that Jesus cuts away the sin/rubbish in our lives when we accept Him). It was Moses’ mission to set the people free. Yet you know, there is only one person thatcan truly set us free from all of these things that bind us. Just watch…! Sometimes we think there are other ways of setting us free. Maybe we think doing good, thinking positively, relying on other people, doctors, medicine, friends, family, will solve our problems…. All these things are REALLY good things! Yet ON THEIR OWN they don’t always set people free. We need God’s help. We need Jesus. You see, Jesus is the key to setting people free eternally. [Go around unlocking each handcuff] We need Jesus to see people set free from hurt, depression, bad thoughts, sin, hatred, disease. Although we can help in different ways, especially by praying, ultimately it is Jesus that is the key to setting people free. Sometimes Jesus might not set someone free from something [leave one bind on the person]. Maybe they don’t get healed or they never get out of prison or a dangerous place. This is hard to understand… but we can remember that if they have accepted Jesus into their lives then He has set their spirit free. Which means they will be free in their body, their mind, and everything else when they reach heaven! [cut the last bind]. Do Sin in a Box drama: A large see through container box is placed center stage with the words ‘DO NOT TOUCH’ on it. Person 1 comes onto center stage and looks excitedly at the box. They decide to have some fun and get inside it and put the lid on the top. Then they get stuck (at this point they can start to yell for help). Person 2 comes along and sees the words ‘DO NOT TOUCH’ and starts reasoning with the person, telling them they should not have gotten into the box in the first place, and walks away. Person 3 comes along, hears the noise and rushes to help the person out of the box. Person 1 is relieved as they both walk away. Say: Sometimes we forget that we have been stuck in sin, or we have gone through things that have made us feel stuck or bound up. Maybe we treat people badly, say horrible things about them or simply just don’t try to help. Or maybe we are the person that is stuck inside the box. We are bound by one of the things we mentioned; our body, thoughts, words or feelings… or even sin. If you have been set free by Jesus then God wants you to be like the person that helped the other out of the box. Jesus wants us to be willing to help others be set free. People need Jesus… but sometimes it takes us to PRAY for them or to TELL them about him. They might not know about Jesus or know of His love. God calls us to do something about that. He calls us to help set people free. It is our mission to help set them free, just as Moses was able to lead the people of Israel out of Egypt and set them free. Thank You Jesus that when we come to You and ask for forgiveness, we are set free. Lord, we ask for Your forgiveness right now. Please forgive us for all the wrong things that we have done that cause us to be bound up. Please come into our lives and set us free so that we can live to praise You! Jesus, help us to help set others free too. Help us not to be scared to share You with others, or to judge other people in their sin. Please help us to remember those who are ill and bound up in their bodies, those who are bound up in prison and those who are bound up in their hearts. In Jesus’ name, Amen. You will need some red wool, chairs, paper or card and tape (to make the chains). Have a few chairs placed around your playing area- fairly close together. Wrap red wool around the chairs and across the playing area to have a ‘lazer’ area that children must avoid touching. Have a long paper/card chain made with names of people Jesus set free written on each link. Have children go through the lasers to grab a link from the chain and run back around the lazers to their team and tag the next player. Peter – set free from prison. Paul and Silas – set free by singing and praising Jesus in prison. Joseph – set the people free during the famine/ was set free by God from prison. Naaman – set free from leprosy when he was healed. People Jesus healed – set free from their illness and disability. 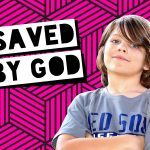 People Jesus brought back to life – set free from death! People with demons – set free from evil spirits. Jesus – set himself free from death! How did it feel to help set all those people free? Ask the children to visit the different types of stations and think about the question that has been posed. 2) Make: paper chain prayers. Make strips of paper and link them together. Bring everyone back into a circle together – or in small groups – and allow them to discuss what they have found and made. 1) You may need to pray for children that have been bullied, or are feeling bound by things first. Spend a few minutes with these children. Perhaps have some of your leaders pray with children individually or in groups. 2) Hand each child an old key and remind them that they are the ones who can help set people free. 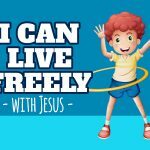 Remind them that Jesus sets them free and that they can be free of anything. Spend a few minutes praying that God would give them boldness to step out and help others, not think badly of them but to love them. 1. Why not help the children to create a necklace or bracelet using their old keys, some beads and string or ribbon?! This can later be used as a reminder that God has given them the key to help set people free: JESUS!